You need to be strong to be able to run well! You need to be strong from the midsection down to your feet to deal with the demands that running places on the body. From dealing with the forces that come with each foot strike, being able to propel yourself forward, to needing to stabilise the body as you move. The popularity of running a marathon for charity means that beginners want to jump straight to running a marathon not building up to a 5k. This is before they’ve spent enough time either learning how to run well or developing the capacity to tolerate the demands of running for 30 minutes. Even seasoned runners have a bad habit of doing too much, especially too much hard work, and neglecting time on preparing their body for running. As a result injury rates in runners are pretty high at anywhere between 11-85% depending on the study you look at. Where an injury is defined by it being something that causes significant changes to your running, reduced mileage, or stops you running altogether. If we take the middle area from a study by van Melchen it is still roughly half of all get injured every year. That’s pretty high for a non-contact sport and in my experience, it is more towards the 80% figure. Beginners are at the greatest risk of injury being over 10 times more likely to get injured than a more experienced runner in terms of injuries per 1000 hours run, 33 injuries vs 2.5 injuries. Having said that it does even out a bit as more experienced runners do run more. The problem with all of the above is that the standard advice really doesn’t work in resolving them. Simply resting, stretching and using a foam roller isn’t going to deal with the underlying issue. This is because rest, stretching and using a foam roller don’t address the underlying issue. At this point, you can still run but are likely not feeling magic after a hard or long run. Your hamstrings feel tighter, your quads feel like they’ve been beaten with a stick and that’s before we get to your calves. These can then build up to the point where they further compromise your ability to tolerate your desired training load and eventually led to proper injuries. There are three main factors, IMO, that influence sports injuries. You can get away with a lot of things when your training load is low but this really only applies to more experienced runners. Beginners, as noted earlier, tend to get injured pretty regularly even though their training load is by the very nature of their experience, low. More experienced runners, on the other hand, have built up a tolerance but still get injured pretty regularly or complain about the aforementioned tight quads, calves or hamstrings. A lot of this is to do with the fact that the training history of new runners is often pretty inconsistent. Jumping full on into running which is actually very demanding even when taking it easy. A 75kg runner will need to absorb around 1,350,000 to 1,650,000 kg of force on each leg during a 5k run. Now a 5k run probably equates to around 30 minutes so it is a length that many will aspire to quite quickly. This is where things go wrong for beginners. 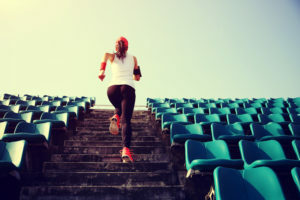 The low volume of training experience and in their history means that there is actually quite a serious ramp up even in the standard couch to 5k plans. Doing too little is as bad as doing too much when we are talking about getting injured. A low training load means you have little scope to deal with any and significant jump in either intensity or volume. This is the case for both beginners and those with more experience. If you are coming from a background of having done very little exercise getting into running should a slow process. Even when the goal is “low” in terms of I want to be able to run 5k. A 10% weekly increase in training volume is often the suggested number when talking about building up the amount of running. This is still really high except when coming of a short break or holiday. With new runners, I treat them the same way I treat my injured clients. Very low increases in the volume of work each week. We are talking about 1 minute per running period. Week 1 will be 4 minutes of walking and 1 minute of running. Week 2 with be 3 minutes of walking and 2 minutes of running and so on. By week 8 will there be 30 minutes of running but this will be split into 4 chunks of 8 minutes. Only at week 11 will there be any continuous running over 15 minutes! But by the end of the 13 week program, they are running for an hour with no issues. Because the body needs time to adapt. You need time to get stronger. You need to give the muscles, tendons, and ligaments time to adapt to the new stress. It takes 6-8 weeks to make significant changes so you need to take your time and allow things to get stronger. The big problem I see with more experienced runners is that they do too much work that is hard. This can be simply too much obviously hard work in the form of tempo runs and intervals. It can also be that the easy work isn’t easy enough. Your training should really be either hard or easy and not something in-between. This is to the point where you need to be running sub 20 minute 5ks before a 6:00 min/km pace is something you won’t be doing on an easy run. The effectiveness of hard work tends to taper off fairly quickly once there is a lot of it being done. It also leads to a situation where hard work stops being just that, hard work. There needs to be a contrast between what is hard and what is easy. Where a lot of “hard” effort work is done for long periods the ability to truly go hard is lost and it ends up being sort of medium hard. In this scenario, you lose the effectiveness of the program and build up fatigue for no real benefit. Similarly, easy runs that aren’t actually easy actually take more than they give. Very few of us need to worry about the various HR rate zones. It can be simplified into easy running = conversational pace, and hard running = I feel like I’m gonna die, puke, pass out by the end of the interval. In between these you are eating into your recovery. The most you should include of any type of higher intensity work is 20% of your total volume, and you can get away with a lot less. This goes for elite athletes so it definitely goes for recreational runners if you aren’t getting paid you are a recreational runner. I’ve had clients who were doing 3 higher intensity sessions in a week of 5 runs and wondering why they are either tight and stiff or injured. It’s simply too much stress. You simply aren’t going to recover from it and will see a drop off in performance. Your hard runs should be hard and your easy runs should be easy. There is no room for the middle ground. This brings us to the other aspect of doing too much. Your easy running should be easy. It might sound obvious but it is still misunderstood. On your easy runs, which should form the largest part of your training, your heart rate really shouldn’t be any more than 180 – your age. or higher heart rate work. You might feel like you are recovering because the work is the work isn’t that hard but if the volume is high enough it really eats into your recovery. On hard runs there is no need for a heart rate monitor, you’ll know when you are running hard enough. Strength training is the missing component that I see with most runners. Yet there is a huge chunk of evidence out there that shows how it impacts positively on both performance and reducing injury risk. Whilst the benefits of strength training are well documented the fears that it isn’t something a runner should do are strong. You do need a strong “core” but no more so than you need a strong lower body, plus there are less time consuming ways to get this than a pilates class. Stretching is way down the list in terms of injury prevention. It useful but not in terms of injury reduction per se. There are big benefits to making use of strength training which I would say are the main reason for including it. The inclusion of strength training across multiple sports has been shown to decrease injury rates significantly. In the the BJSM a study concluded that the use of strength training reduced injury rate to ⅓ of that where it isn’t performed. Strength training doesn’t have to be fancy. It doesn’t have to take a lot of time but the benefits are huge. They also are not just limited to reducing injury rates. In a study by Karsten et al in May 2015 they took 16 moderately trained recreational runners and split the group in two. One half were given a strength training program to do alongside their running and the other half just ran. The program consisted of squats, RDL’s, calf raises and lunges. The group that did the weight training significantly improved their 5k time, ~45sec. In comparison to no change in the non weight training group. Both groups then carried out another 6 weeks of training without the strength training. During this period most of the effects were lost when the resistance training was removed. If we expand upon the performance aspect of things getting stronger one of the big benefits for a distance runner is improved running economy. In other words, you can maintain a set pace with less effort. This study which was a meta analysis of 5 individual studies where the participants had been high level competitive middle and long distance, runners found an increase of 2.32 mL/kg/min in VO2 max or about 3-4%, not insignificant when you consider these were well trained, experienced runners whose VO2 max was over 60 to start with. Basically how well you run. This has less of an impact than you might imagine but is still very important. Hence why beginners, to some extent, get away with terrible form. With a sensible training plan, because the volume is low enough and the body robust enough there is plenty of opportunity to adapt to the training stress. It is also the reason why they get injured on most training plans. Along with not being strong enough, they don’t move well enough to tolerate the amount of work in most couch to 5k training plans. This also happens to more experienced runners if they push things too much. If you want to move well you need to be able to create stiffness and if you are stiff you’ll struggle to do this. When you are running there is a requirement to create stiffness in the leg at ground contact. This can be seen as a soft angle at the knee when the foot hits the ground. This angle doesn’t change through gate and is very important to running well. The same goes for the torso. At ground contact we want stiffness for a split second to help absorb the forces coming up the way. The body should then relax and rotate. A failure to be able to do this can be seen where there is a lot of arm movement across the body created at the shoulder girdle. If you run you are going to get injured. This is something that you have to accept and it’s no different for running as it is for any other physical activity. In my opinion, the stats for running injuries are horrendous. With ¾ of runners likely to get injured every year you’d think running was a bit of a crazy adventure sport. To reduce your chances or frequency of injury it simply requires good training load management, a bit of basic strength training a couple of times a week and practising the skill of running. Things like Pilates and Yoga are, to an extent a waste of time. Pilates because you are better spending the time doing some whole body strength work in the time you set aside for the class. Yoga is similar. If you are only going to go once per week it would better if you did some strength training instead. I say this as a big fan of Yoga and someone who does 30 minutes of yoga practise every morning. I don’t practise yoga for the stretching, that’s a side benefit, but for that fact that it means I do 30 minutes of focused breathing. This for me acts like meditation and really helps with recovery. I’ve actually nothing against stretching, as noted above, but I don’t use it as a means of reducing injury risk. I feel we should all have normal full range of movement which is generally a lot more than most have. From an injury prevention point of view, it doesn’t add much to the mix. Get your training volume and intensity correct. Do some strength training and work on moving well in that order. Do these and you’ll see an improvement in your range of movement. This is because you won’t be so stiff and sore all the time. A lot of the stiffness runners experience is protective in nature as your body tries to limit what you can expose the fatigued muscles to. When we are rehabbing an injury stretching really doesn’t fit well. It does not expose the tissue to the kind of loading I want that will require the adaptations that we need to get back running. I’ve used it after particularly tough gym sessions where otherwise I found i would have “jumpy legs” and it would keep me awake. I use targeted soft tissue work to aid treatment of injuries but never needed it to deal with anything from running. Achilles tendinopathy can be in one of two areas in the tendon. The body of the tendon or at it’s insertion in the heel. The classic symptoms are in the body of the tendon and are caused by the tendon having to do too much in terms of the tensile loading. Tensile loading is where the tendon is being asked to stretch too much. The stretching should occur mostly in the muscle itself with the tendon only needing to stretch a “bit”. The Tight calves anyone? The reason behind the tight calf muscles is exactly as mentioned earlier…too much work. If the calf stiffens then dorsiflexion is restricted and this then places a great deal more stress on the tendon. The lack of elasticity in the muscle means that the tendon is required to stretch more than it can tolerate. The other area is where the pain is around where it inserts into your heel. This is caused by a compressive overload where the tendon is being pulled against the heel as you go into dorsiflexion, the point where you are pushing off. This tends to be caused by a sudden increase in the amount of specific hill work being done. The pain of PFP is present in and surrounding the tissues between the patella and the femur. The cause of the pain can be something of a mystery as it rarely develops quickly. It also isn’t the result of a traumatic incident the way a ligament tear is. Squatting, lunging, kneeling, going down stairs or running downhill are the types of activity that make the symptoms worse. These are all high load activities that put a lot of stress on or through the area. Sitting with the knee flexed is the exception to this. Sitting with the knee flexed for long periods is also likely to cause pain. The illiotibial band is a thick, fibrous length of connective tissue that runs from the tensor fascia lata and glute max to the lateral condyle of the tibia. It is a result of irritation of the distal end of the ITB as it attaches to the tibia. This results in inflammation of this lower portion of the tendon. More importantly, the irritation of a small bursa like pad and it is this that causes the pain. The ITB is supposed to be tight to do its job. If the right combination of tension, load (amount of stress put through it) and the frequency of it happen are correct you end up with ITB syndrome. A classic pattern that I see with ITB issues is that there is an inability to maintain an upright torso and create stiffness at the knee at the point of ground contact. These are connected and in ITB issues result in the little pad I mentioned getting squished, the technical term, for too long. One of the most common issues that runners can suffer from, affects around 8% of runners The plantar fascia is a thick band that runs across the sole of the foot from the base of the toes to the heel and plays a very important role in creating stiffness in the foot. The exact cause of plantar fasciitis is a hard one to nail down. It does tend to come down to “simple” training error. This is where you have exceeded your ability to adapt to the stress of training. That said. Underlying the training error is going to be some sort of movement quality issue. We are going to see problems in one or more of the calf muscles, hamstrings or glutes. I mentioned earlier the need for the ability to create stiffness at the appropriate times. In all injury cases, and even where we are simply taking about people feeling tight/stiff, I see the pattern of being unable to maintain stiffness in the knee as the foot hits the ground. If you look at top runners this is something they all do and do well. It requires good interplay between all the muscles of the leg and hip but particularly the hamstrings and the gastrocnemius. When everything is good this to allow force transfer to the hip. It also means the quads don’t get overloaded. Here is a bit of an extreme example of what it looks like with some single leg hops. In all of the above examples, you can see that the training load is always going to be the main contributing factor. This leads to movement quality issues where the muscles stop working as well as they might. Get your training load right and you are in with a shout of allowing your body to adapt. Get it wrong and you are in the land of classic runners issues of tight everything from the waist down. The first thing to do is look at your injury history, is there a pattern? Do you have any obvious, more serious injuries or a more notable one which since it happened you’ve noticed you are getting injured more? What has changed in your training recently, last 1-3 months? When it comes to resolving injuries we like to look at things a little bit differently. All the above questions and more play a big part of our treatment process. We use a 6 step process that ensures that the source of the injury actually gets addressed. Your story – the physical assessment is very important but without looking at your history it doesn’t mean that much. There is no context as to why the achilles pain started. Yes, you increased your mileage a bit too quickly but no more than you’ve done before. What else is going on at work, home, etc? Stress is stress and it all needs to be accounted for. Finding the true stressor – The physical exam plus the background story really allow us to zero in on the true stressor. That area is never where you think it would be. SThis allows us not to waste time dealing with symptoms. It means that we can get to work on the area that is creating the stress that is causing the pain. Dealing with unwanted movement patterns – after a while, you will have developed ways to get around any physical limitations. The body is pretty amazing and can keep on trucking to an extent when things aren’t too bad. These unwanted movement patterns are in effect movement hand brakes that really limit your ability to cope with training. Having identified them we can then get to work on addressing them and taking the hand brake off your performance. Building resilience – Once we’ve identified the movement hand brakes and removed them we can then et to work on improving your ability to tolerate running. Moving towards your goals – As we progress towards the later stages we need to introduce meaningful movement into the process. WIth our system, this is where plyometrics come in. These are essential for ensuring that we know that you can withstand the demands of running. Empowering you towards your goals – finally, we want you running before we finish up. This way we can assess how you are reacting to the final challenge. We also create a bespoke warm up routine which ensures that you are preparing yourself for each run correctly. 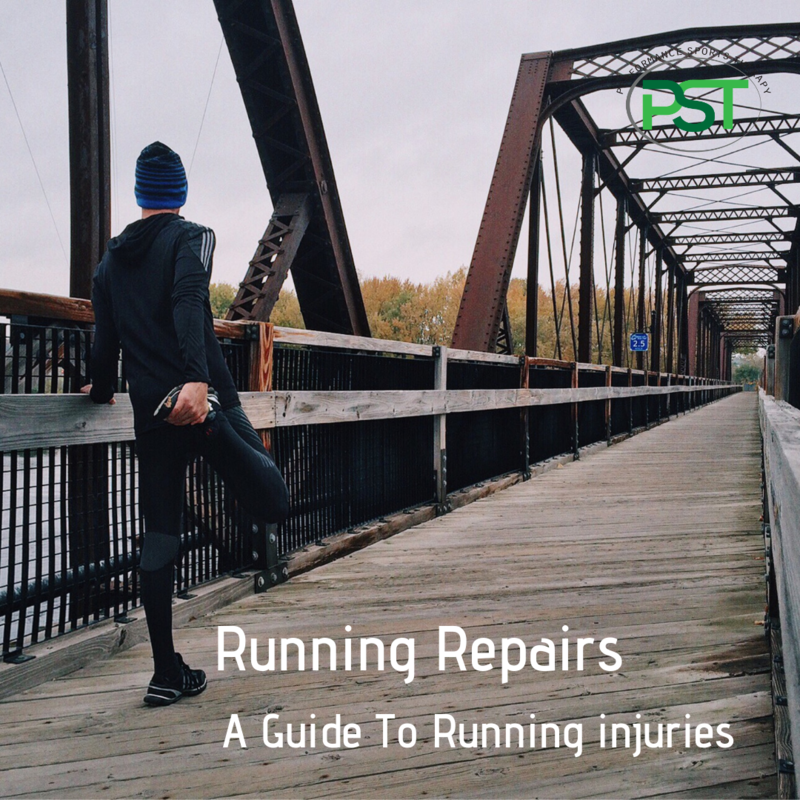 Do you have an issue that is stopping you from really enjoying your running or perhaps you are injured and can’t run just now?